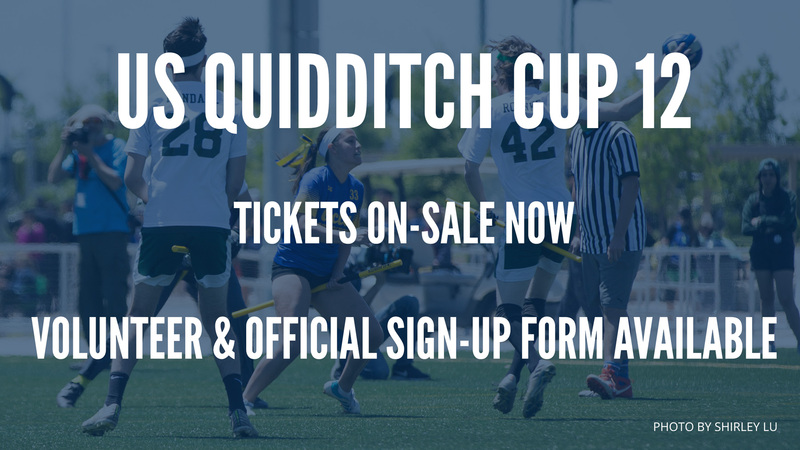 Tickets are now on sale for US Quidditch Cup 12! Early bird pricing is available through December 24. Purchase on Eventbrite here! The official and volunteer sign-up form is available, too! Position descriptions are available here.